Pamela - Beautiful! I want to visit Boston and have my sons pictures taken on the beach! Laura Clouse - This is an absolutely stunning session of these two sisters by the sea. Oh to have access to such a beautiful beach in Boston your clients are so lucky! I just love everything about this! Melissa - Beautiful!!! 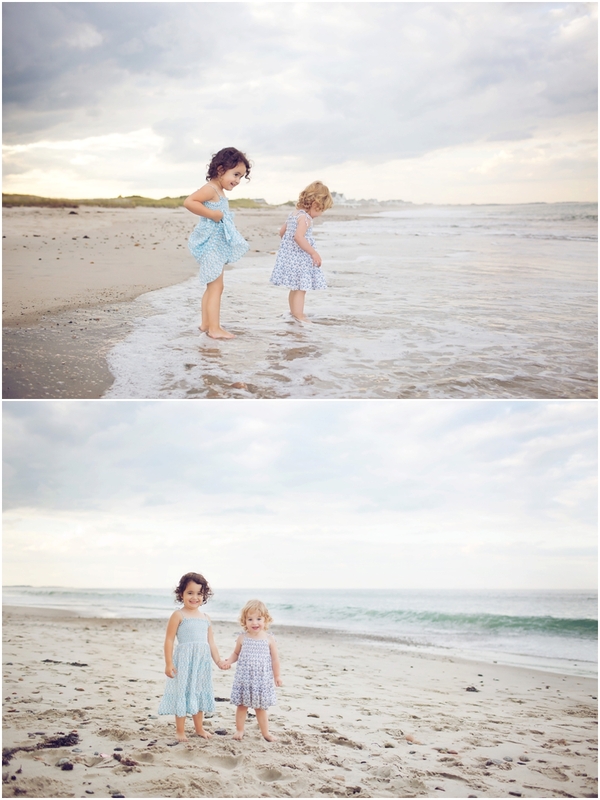 What a wonderful mini session to capture these sisters by the sea! Love how the blues come alive. Kristina - Stunning children images, what a cutie pies of girls you got there, I bet these beauties had fun while in session. Juliet Carey - I look at every blog post because I love you and your pictures make me feel so good and happy inside…they are magical! 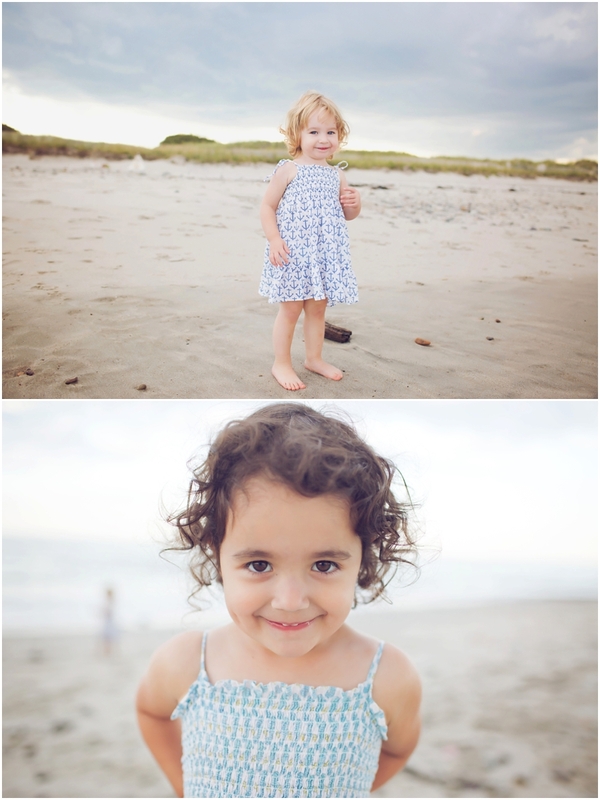 The muted grays and blues and those amazing little faces…SIGH! You capture perfection each and every time. Miss you tons! Kat - These little sisters are so sweet and look like tons of fun. I am so jealous of your mini by the sea. 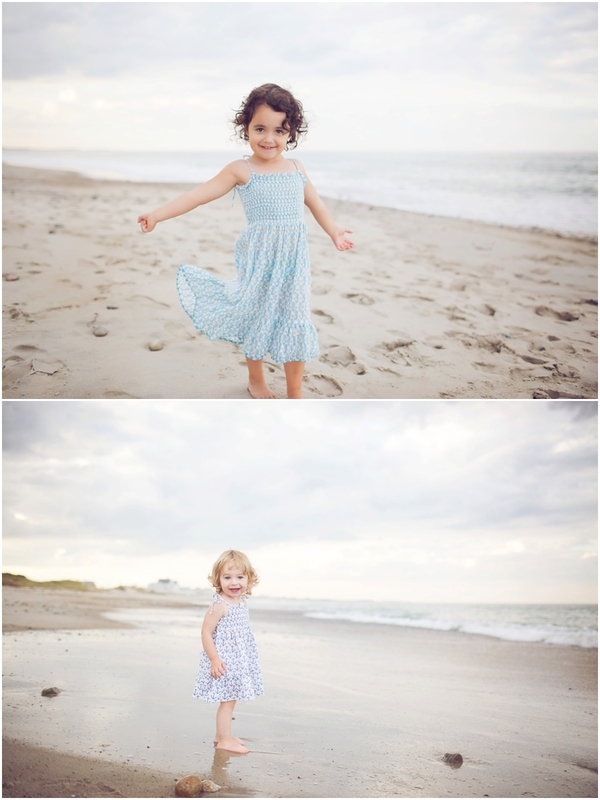 Not only are the girls beautiful and the location stunning, but you captured the perfect light and air of playfulness! Great job. Baotran - I love seeing salt & pepper siblings, genetics is such a neat thing! Lovely photos, the girls looked like they had a great time with you! Sarah H - These are adorable children photos! Perfectly captured their personalities and bond!